1/22/20141 ENZYME CATALYSIS. 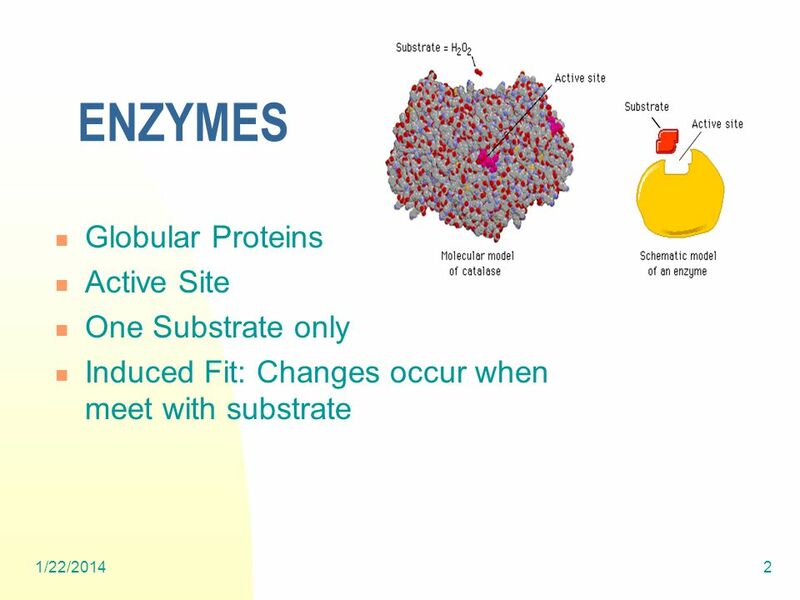 1/22/20142 ENZYMES Globular Proteins Active Site One Substrate only Induced Fit: Changes occur when meet with substrate. 5 1/22/20145 LAB 1. Add 10ml of HOto each of 7 beakers. 2. Add 1ml of catalase to the first beaker at 0 second. 3. 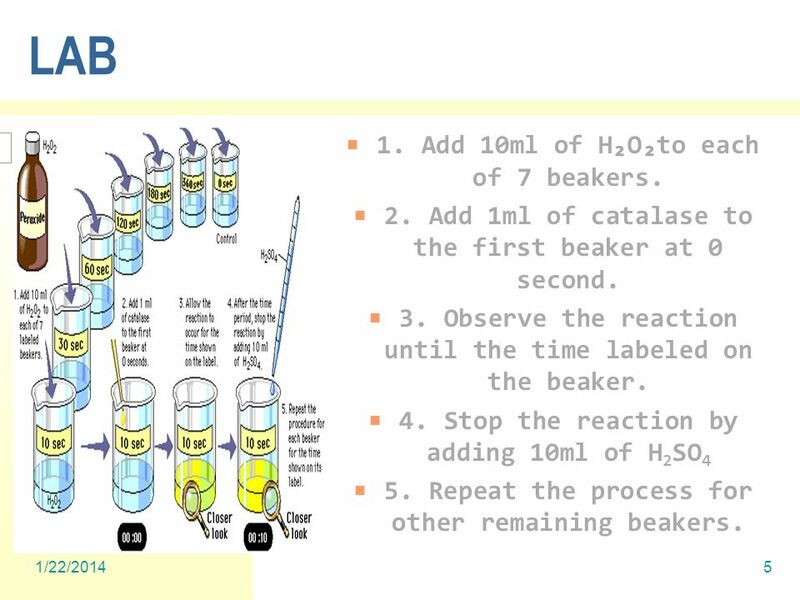 Observe the reaction until the time labeled on the beaker. 4. Stop the reaction by adding 10ml of H 2 SO 4 5. Repeat the process for other remaining beakers. 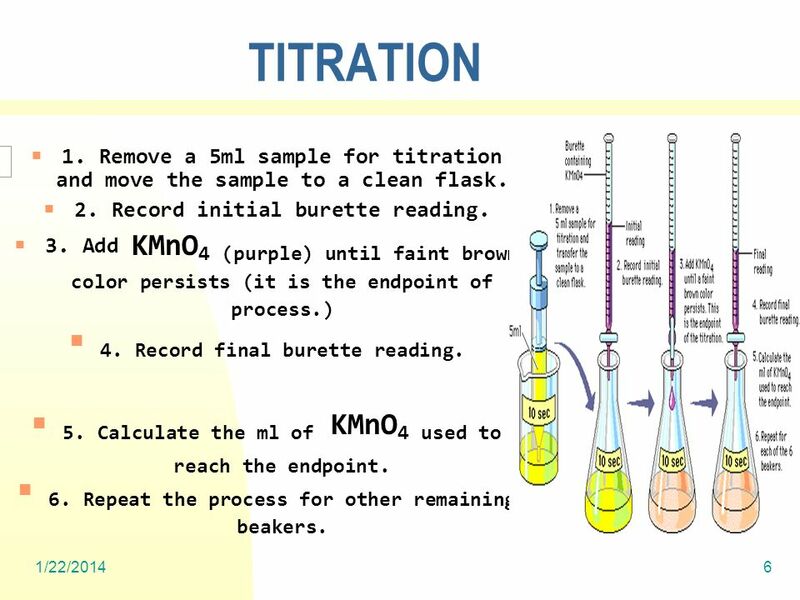 6 1/22/20146 TITRATION 1. Remove a 5ml sample for titration and move the sample to a clean flask. 2. Record initial burette reading. 3. 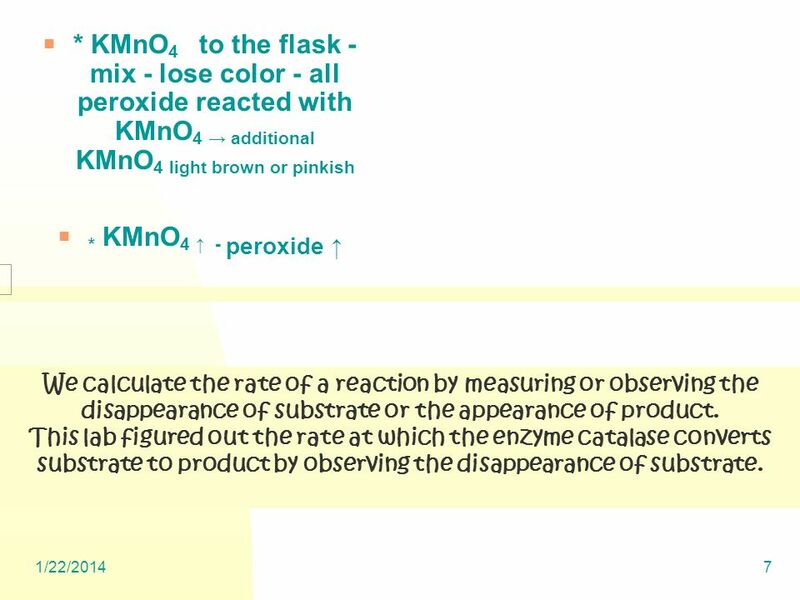 Add KMnO 4 (purple) until faint brown color persists (it is the endpoint of process.) 4. Record final burette reading. 5. Calculate the ml of KMnO 4 used to reach the endpoint. 6. Repeat the process for other remaining beakers. 7 1/22/20147 * KMnO 4 to the flask - mix - lose color - all peroxide reacted with KMnO 4 additional KMnO 4 light brown or pinkish * KMnO 4 - peroxide We calculate the rate of a reaction by measuring or observing the disappearance of substrate or the appearance of product. This lab figured out the rate at which the enzyme catalase converts substrate to product by observing the disappearance of substrate. 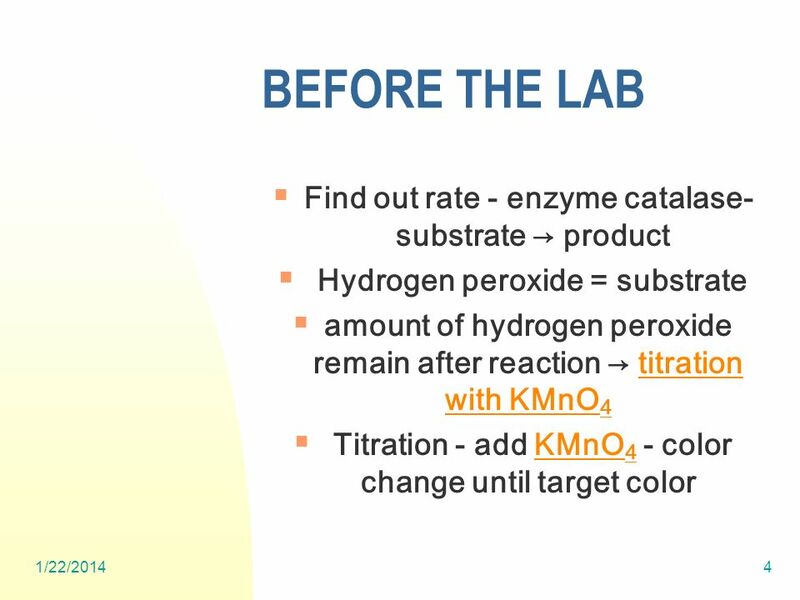 Download ppt "1/22/20141 ENZYME CATALYSIS. 1/22/20142 ENZYMES Globular Proteins Active Site One Substrate only Induced Fit: Changes occur when meet with substrate." STEVENSON PBHS AP Biology. 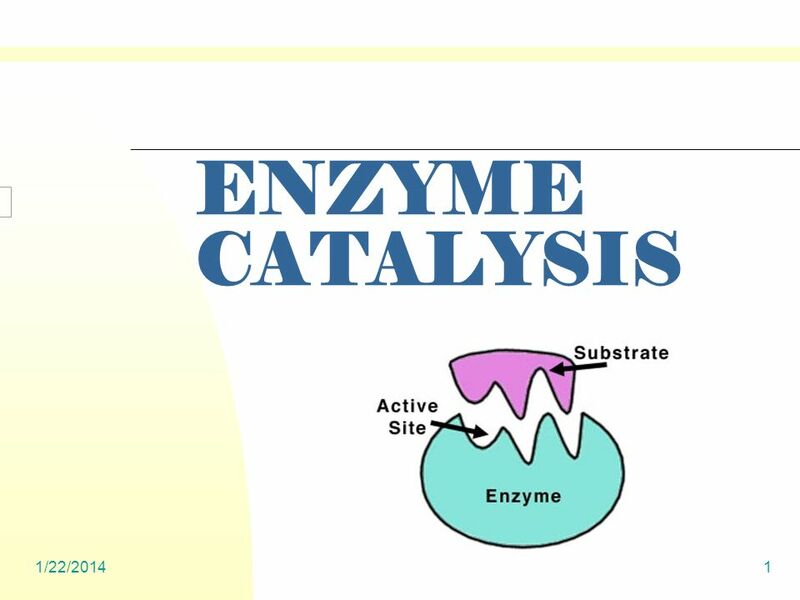 Lab #2: Enzyme Catalysis Introduction: This the first of 12 AP Labs designed to illustrate the themes of this class. 10/22/20141 Consumers, Producers, and the Efficiency of Markets Chapter 7. Enzymes a special type of protein. SURVEY OF CHEMISTRY LABORATORY I CHEM 1151L ANTACID EVALUATION. 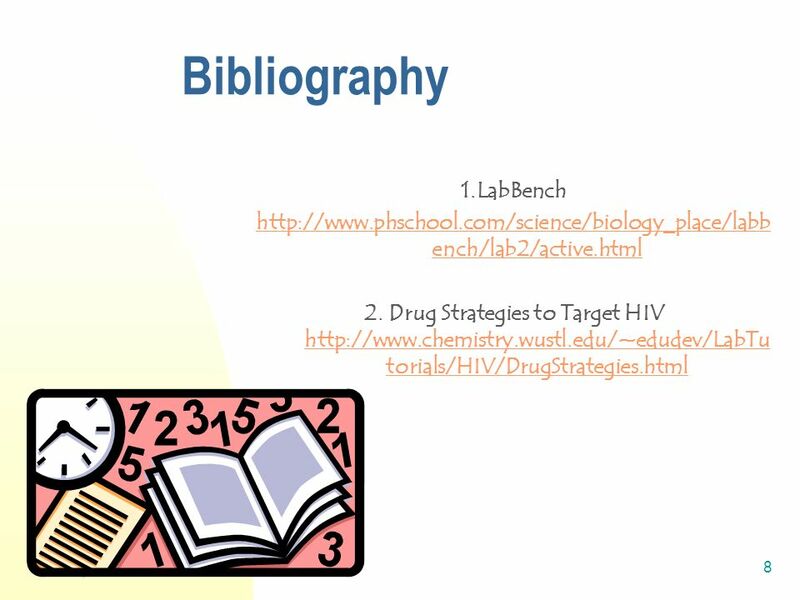  The purpose of this lab is to determine the optimal concentration of NaCl. HOW DOES ETHYL ALCOHOL INHIBIT THE RATE OF CATALYST ENZYME ACTIVITY? By: Jeranika Semien. 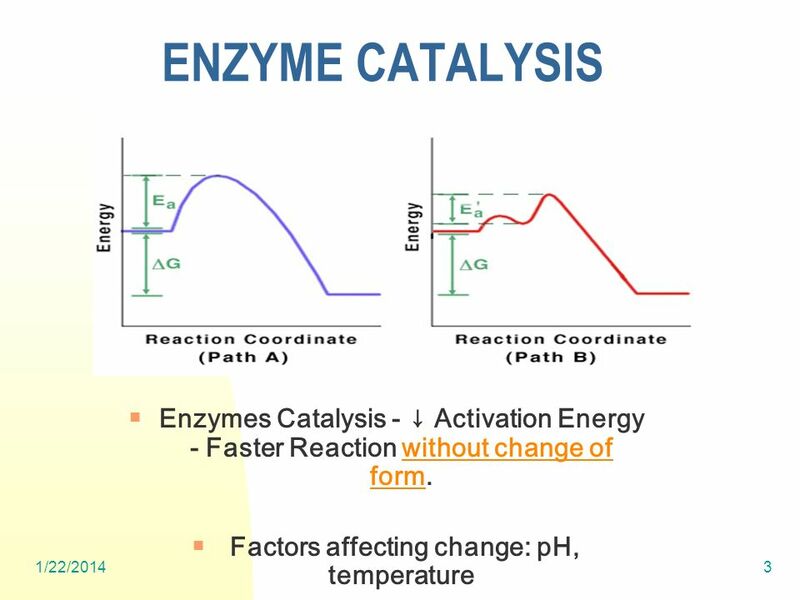 Catalysts Reduces the amount of activation energy needed for a reaction to take place. Identify and Investigate the role of enzymes. CATALASE LAB ENZYME REACTION LAB. Joe Wright Enzymes. Joe Wright What are Enzymes? Globular proteins Biological catalysts Do not change after reaction They are found in small quantities. Titration Chemistry: The Molecular Nature of Matter, 6 th edition By Jesperson, Brady, & Hyslop acid–base, 198–199, 811–819 redox reactions, 239–240. Metabolism: Energy and Enzymes Chapter 6. Energy = the ability to do work Kinetic Energy - energy of motion Potential Energy - stored energy First Law. Enzyme Catalysis Lab. Materials – at lab station 20 small cups 3 large cups 4 syringes Piece of white paper Dropper Glass beaker Test tube Test tube holder.